Boston is a walking city by nature. Tangled roads clustered around Boston Common are a delight to explore on foot. Whether you fancy a walk through the park or a trip to a museum, everything is just a short stroll away. Of course, the city’s colonial roots are ever present, so a visit to the Paul Revere House and Old North Church is a must. Cited as the famous setting of “One if by land, two if by sea” ride of Revere in 1775, the church has certain historic significance. A large brass statue of Paul Revere stands tall outside the church, commemorating that fateful ride. 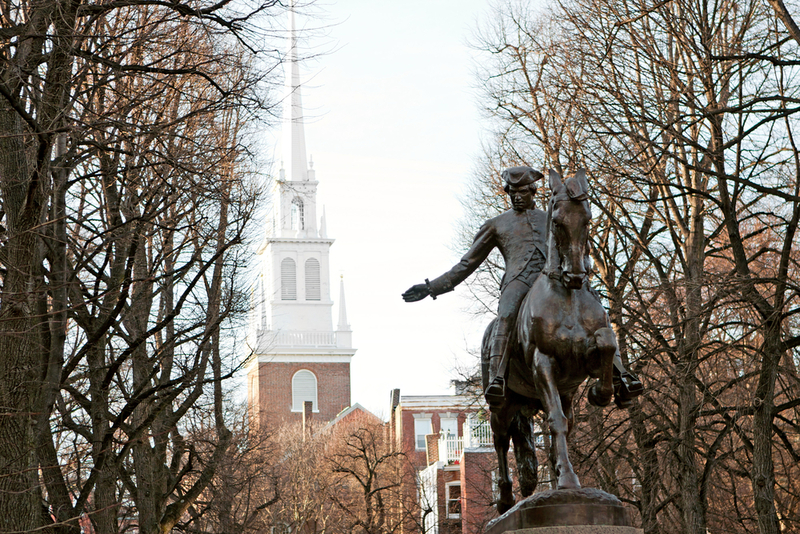 Any history buff will be impressed with the wealth of information on the Freedom Trail Tour. Starting out in America’s oldest public park, Boston Common, the Freedom Trail takes visitors around the significant historic sites of the American Revolution. The 2.5 mile long tour is led by a guide in full period garb, adding a theatrical element to this educational excursion. Each guide carries the story of a real person who lived through the revolt and ensuing war. There are 16 sites on the tour total, each with their own story and contribution to the American Revolution. The Museum of Fine Arts contains more than 450,000 works of art, receiving more than a million visitors each year. The museum’s original building was on Copley Square, built in 1870, but moved into its current building on Huntington Avenue in 1909. 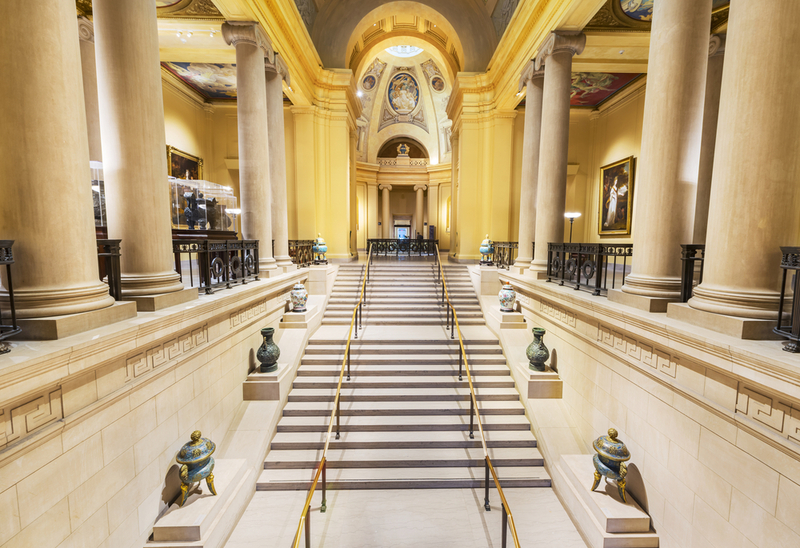 Being the fifth largest museum in the United States, the Museum of Fine Arts boasts an impressive collection of works. This includes an “Art of the Americas” wing devoted to art of North, Central, and South America, which opened in 2010. If you haven’t gotten your fill of education and culture after the Freedom Trail and Museum of Fine Arts, the Museum of Science is happy to oblige. This science museum and indoor zoo offers visitors over 700 interactive exhibits, live demonstrations, an IMAX theater, a planetarium, and also is home to over 100 animals. The most of these resident creatures were rescued and rehabilitated from dangerous situations. When staying in Boston, there is no need to seek out a chain name for your cozy end-of-day retreat. Boston has a plethora of local hotels that are unique to the city itself, and offer welcoming accommodations to many a weary traveler. One such gem is the Bostonian. Situated a literal stone’s throw from many historic sites and local fare, this lux hotel has it all – convenience to downtown sites, classy rooms, and superior service. The Boxer is another iconic Boston hotel. Known for its triangular flatiron structure, the Boxer offers a local vibe with cute vintage details. 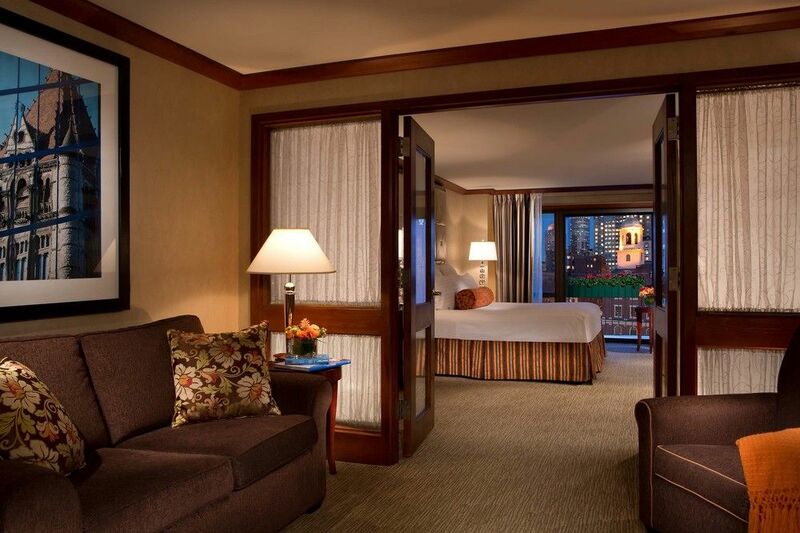 Lastly, the Boston Harbor Hotel offers guests lux accommodations, and lives up to its name, delivering wonderful views of the Boston Harbor! Don’t worry, we didn’t forget the most important component of any trip to an unknown city – the food! When you’re wandering the streets of Boston, you’re sure to work up an appetite. Luckily, this town has plenty of staples to choose from. The first of these Boston institutions is The Neptune Oyster. Opening in the mid-aughts, the Neptune Oyster quickly became a household name. Judging from mentions in magazine, including this one about the comfort of a lobster roll after dual job loss, this seafood restaurant has definitely struck a chord with the people of Boston. The Paramount is another local institution, but instead of seafood, they are most known for their exceptional brunch. Operating out of their quaint spot on Charles Street since 1937, this classy little haunt is a local favorite. Due to their success, they even opened a second location in south Boston in late 2011. Lastly, we will leave you with two favorite dessert spots – Mike’s Pastry & Modern Pastry Shop. Both these family-owned Italian bakeries reside on Hanover street in the heart of downtown, are both considered local favorites. Perhaps due to their proximity we are quick to judge and think them to have a bitter rivalry like so many pop divas, but who is to say. 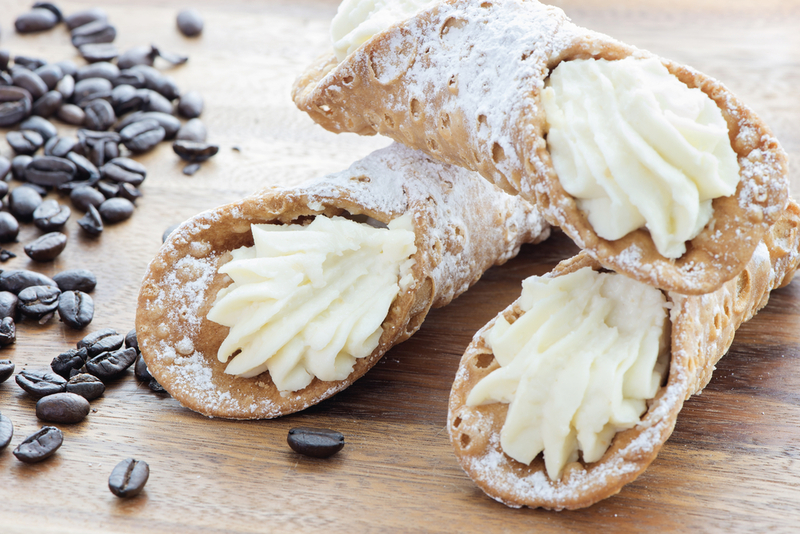 The staple dessert when stopping by either spot would be the cannoli, but you can’t go wrong with anything off the menu. Might be time to check out both and compare. Time to pack your bags and get wicked psyched for your trip to Boston. Save us a cannoli!